We are a USDA RD/TC fully subsidized property. We have two bedroom & three bedroom units. You would need to have at least two people to move into a 2 bedroom unit. At this time we have an approx 6month to 1 year wait list. We pay water, sewer and garbage. Tenants are responsible for paying their own electricity, phone, Cable Tv and internet. There are No Pets allowed at this property. All applicants would need to be able to pass a credit/background check prior to move in. We have two and three bedroom apartments so a minimum of two persons must occupy our two bedroom apartments. Subsidy available on most units through the Rental Assistance program from USDA Rural Housing Service. With this subsidy you will pay rent based on 30% of your income for rent. 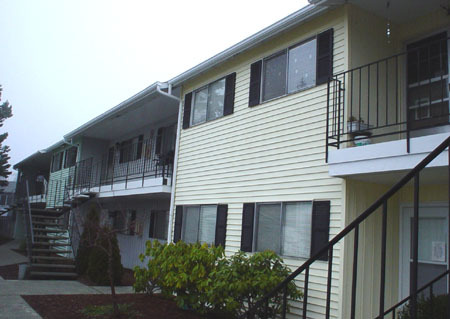 Newport is a family friendly low-income housing complex conveniently located close to shopping, schools, community pool and the other amenities that Oak Harbor has to offer. Close to community swimming pool, grocery stores, schools. Some two-story townhomes. This property has two and three bedroom apartments only. Minimum occupancy is two persons in our two bedrooms and three persons in our three bedrooms. We do not accept comprehensive Re-usable tenant screening reports. Screening cost is $40.00 per adult over the age of 18. Rent Detail: Subsidy available on most units for qualified applicants. With this subsidy you will pay rent based on 30% of your income - between the lowest and the highest rent listed above.